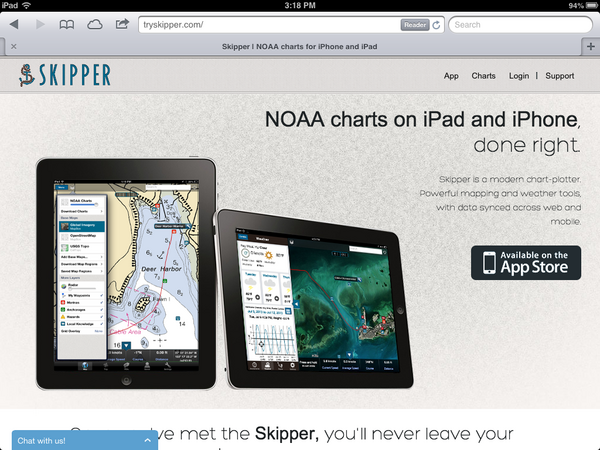 An interesting new entry into the iPad charting world: http://www.tryskipper.com/. 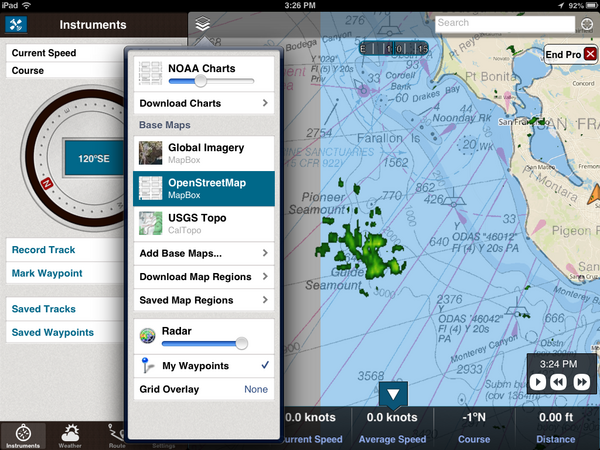 NOAA Charts, Weather Radar, the ability to try out the for pay app from the free with no hassle. United Airlines on over-reliance on automation. I had discussions with a NOAA captain a few years ago. The captain said that he often gives his bridge crew a twist on many of the transits into or out of harbors. For example, he would hide the radar from the bridge crew. He can keep an eye on things and take over should something come up. The idea is to make sure the crew is effective no matter what and not dependent on any one technology to safely navigate. 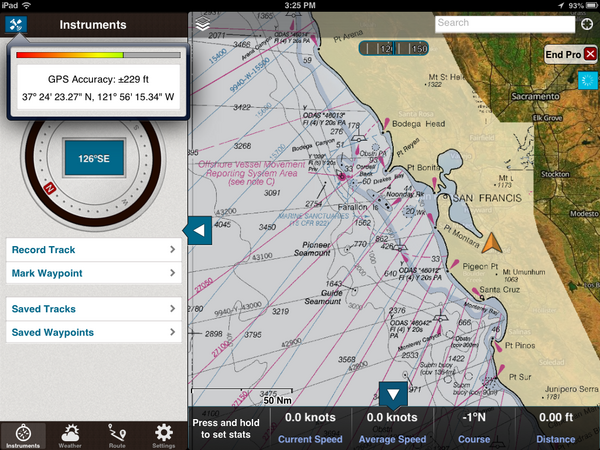 Or navigate only with paper charts. And so forth. An old video, but still very interesting. "Task saturating the crew" and using an autopilot to try to avoid a mid-air collision. And this would be an under-reliance on technology... it's not the smartest thing ever to put yourself in the path of a feeding animal. Did these people have permit for this? Seems like even if they did, this is far beyond stupid. I recorded the panel session for the question on big data and cloud computing. I was sitting in the back and the audio is not very good. To help with that, I transcribed the video. This text is available as CC in in the video. 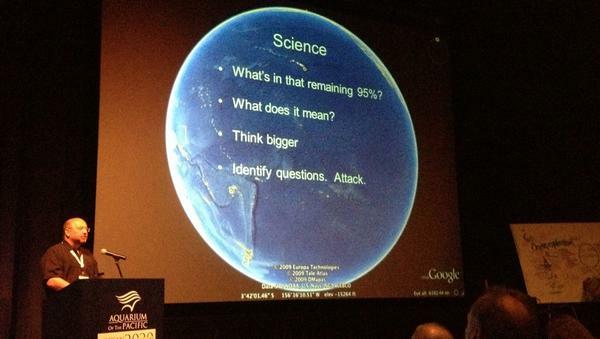 It should be pretty close to what Dawn Wright [ESRI] and Jenifer Austin Foulkes [Google] were saying. I've added some links and the video is at the end of this post. grabbing video data, photographic information, high bandwidth data. What are your thoughts as representatives of organizations that are familiar with handling large amounts of data as to what are the prospects for rapid QA/QC and effective effective technologies for serving up that data to the public and in particular when we think of like HD (high definition) data that scientists are going to demand for doing research, how one can actually deliver that data to those who might need it in it's full quality? DAWN: Fantastic question Marcia. And I think in terms of dealing with all of these, I mentioned among the 4 V's, was "variety." We had not really had a discussion yet about video data as a part of that V, and that's going to be very critical. MARCIA: So that's a 5th V? DAWN: No. That's actually within the V of variety. In terms of, we have photographs, videos, text files, points, lines and polygons and observations, visualizations, scientific models. But within all that variety, we have not spoken that much about videos. And Christian Germain's [possibly the right person] comments to that extent were very pertinent to this, because with these long archives of these videos that we want to not only preserve, but also make available quickly, that's again where partnerships are very important. Because, with our academic and government agencies there has been a lot of work and a lot of funding to creating these archives, maintaining them, but sometimes the next step is not always easily attainable, particularly if your funding runs out And so for instance with Kate's situation with Neptune Canada, where there's been a data management system put in place, and your looking to do the next step, this is where I think the public-private partnership can really play a role. Because if your are able to work with companies who are actually looking at some of these problems in terms research. So I'd like to just step to the side a little bit to talk about how important this is when we think about research versus exploration. 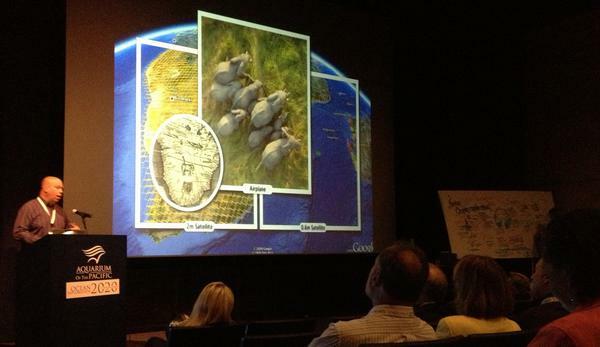 We've talked about "Is exploration part of research?" Is there a continuum of these two. Are they broad end points? Or are you really a scientist? I think in terms of ocean exploration. The ocean exploration challenges are actually the research questions, the research problems of information technology or data science. So, we want those kinds of challenges. So, being able to archive, QA/QC, and quickly disseminate video and other kinds of observations is something that is DELICIOUS to Google, to ESRI, to our partners. 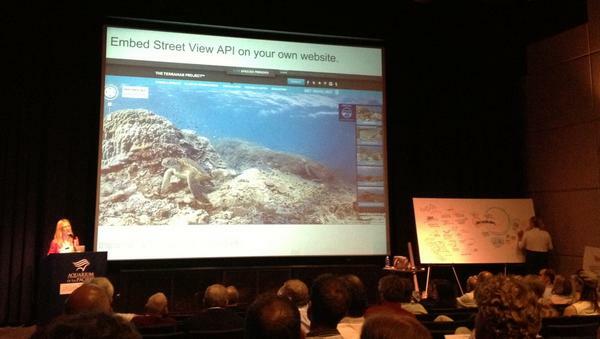 So, Marinexplore is a new startup company in Silicon Valley, that is building a marine platform. They are even building a marine operating system. And they are working now on specific machine learning techniques to automatically go through and QA/QC satellite observations and I think that could be applied to video. So I think it is just a matter of getting in. There was a discussion of a national "huddle." We could have a data or technology huddle and talk about some of these challenges in smaller groups and come up with very useful partner ships to solve these problems. MARCIA: Is it full HD TV? JENIFER: It has full HD TV. Yeah. So I think that's a great tool for video. With regard to analysis, I'm not sure. I'm sure if it can do automated feature extraction. That would be something to look into. And Chris might have mentioned that. so I think the other thing would be Kurt has done a lot of work using our cloud hosting infrastructure to upload large amount of data. Specifically, looking at the space-based AIS ship tracking data [SpaceQuest] and then using Compute Engine to do really fast query analysis. I think that is a tool. He's been working on a bit of a how-to, how you can do it as well, to come out in the future. You can see his talk from Google I/O. [Google I/O 2013 - All the Ships in the World: Visualizing Data with Google Cloud and Maps] Kurt Schwehr, formerly from UNH, in the back there. He'd be happy to talk to anyone about his explorations using our Cloud Store for handling big data. And there is another tools, Google Maps Engine, which has been used for geospatial data and Earth Engine is a project where they look at cloud hosting large amounts of imagery data. So they put all the Landsat imagery in the cloud to allow scientists to do really fast change analysis for forest fires now and forest coverage changes. And that's been really powerful. Analysis that before took months, they do in like a day or a really short period of time. So I think that whole power of being able to, you know, do queries across lots and lots and lots of machines is a future tool that can be really really powerful. And I'm happy to be a part of the story. Lots of discussion of where we want to go in the future (next 7 years) at the Ocean Exploration 2020 meeting at the Aquarium of the Pacific. You can join in for a lot of this via web streaming. Walter Monk recommended that conference include a dedication to ADM James D. Watkins who passed away a year ago. The oceans community owes ADM Watkins quite a bit. Dave Caress and I have been working a bunch on the autoconf setup for mb-system while at the conference. I'm looking at parts of the mapserver configure.in setup when figuring out how mb-system will make sure that it can link against libraries like gdal. 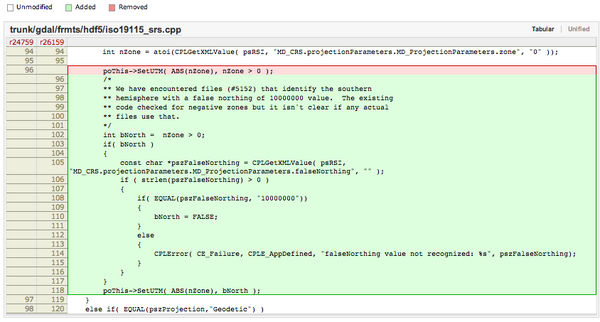 I made big use of the python logging module in my Google I/O talk 2 months ago, but you'd never know it from the talk. I created a python logging module around the boto library that periodically writes to cloud store. And you can also register a logger to log locally with log rotation, etc. Yesterday, I made my first contribution to gdal. Frank pinged me with bug 5152 - False northing in BAG georeferencing is ignored. I took a quick walk through W00158 (NOAA Hydrographic survey from the R/V AHI in American Samoa). 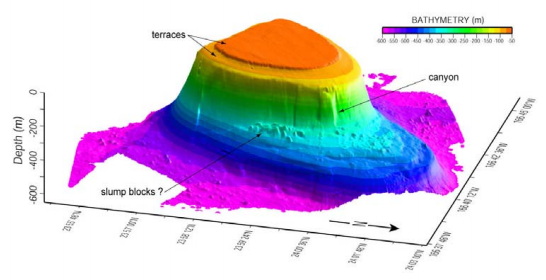 gdal was placing the survey way up in the artic. 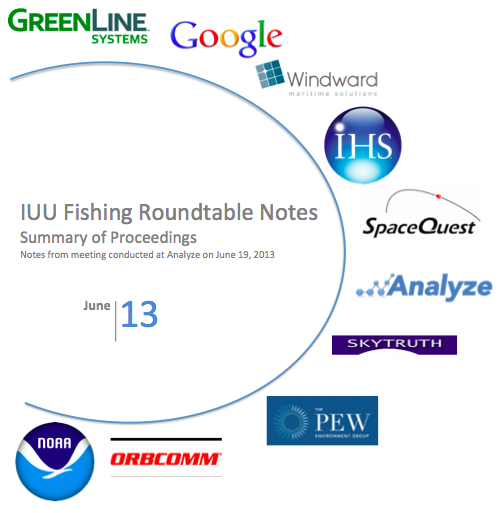 Analyze recently hosted a meeting on IUU fishing. I did not attend, but Analyze has released notes from the meeting.